The seed of this project arose when I had the idea of helping with the sick and the dying in some way. I had a natural interest, in having been a registered nurse, and always wanted to work as a Marie Curie nurse. But sadly my husband became ill for fourteen years with strokes and depression so my time and skills were given to nursing and caring for him until his passing. A small survey was carried out asking people what major concerns they have regarding how and when they die. Questions were invited from people about what they would like answered about this time of dying and death. Ringu Tulku kindly answered them. Here the focus is on training and practice for this life with a particular consideration for planning for the time of dying, death and after death. We never know at what time and at what age we will die. 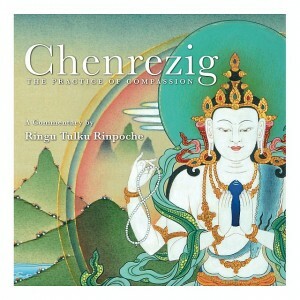 Ringu Tulku Rinpoche is a Tibetan Buddhist Master of the Kagyu Order. He was trained in all schools of Tibetan Buddhism under many great masters such as HH the 16th Gyalwa Karmapa and HH Dilgo Khentse Rinpoche. He took his formal education at Namgyal Institute of Tibetology, Gangtok and Sampurnananda Sanskrit University, Varanasi, India and has served as Professor of Tibetology in Sikkim for 17 years. His doctoral thesis was on the Ecumenical Movement in Tibet. Margaret Richardson has been training and practising Buddhadharma since the early 90’s. Her first encounter was with the Zen school. In 1998 Margaret met Ringu Tulku in England, and felt an instant heart connection. She has received teachings from eminent Tibetan masters. Since 2003 Margaret has been helping raise awareness and help for Ringu Tulku Rinpoche’s village in the remote Himalayas of Rigul, Kham, Tibet. She is interested in interfaith and secular ethics. She is a member of the Religious Society of Friends the Quakers. Tsering Paldron is a Buddhist since 1973. She did a 3 years retreat in the 80s and she has been receiving teachings and practicing with many great teachers of all the Tibetan schools of Buddhism. She has been teaching Buddhism and traveling for the past 20 years. She gives regular courses, seminars, talks and meditation classes and is in charge of Bodhicharya Portugal. She is regularly invited to teach in UK, in Bodhicharya groups.